Does Titan have a new name, or is Blizzard working on yet another unannounced project? In an industry where projects are worked on for months or even years before we hear anything about them, internet domain registrations are sometimes our first hint at what a company is working on. The always enigmatic Blizzard has just offered one such clue, registering the rather mysterious domain "Project Blackstone." The website itself is as dead as can be, and the company, predictably, isn't ready to divulge exactly what it relates to. Could it be a new codename for Titan, the upcoming MMO currently being worked on? Or perhaps it's the early title for a new World of Warcraft expansion. Heck, it could even be a mobile game for all we know - the possibilities are endless. Blizzard's most anticipated upcoming project is of course Titan, an MMO that has allegedly been in development since as far back as 2007. 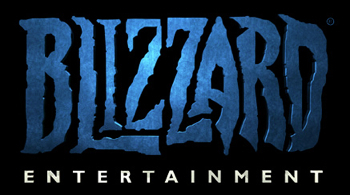 In March 2011 Blizzard COO Paul Sams revealed that Titan was in a playable state, noting that the game was "the most ambitious thing" the company had ever worked on. But as far as Project Blackstone, we'll just have to wait for either the domain to spring to life or the company itself to reveal the reason for its existence. Theories are welcome in the comments, and the wilder, the better.